Thermodynamics is the science that describes the behavior of matter at the macroscopic scale, and how this arises from individual molecules. As such, it is a subject of profound practical and fundamental importance to many science and engineering fields. Despite extremely varied applications ranging from nanomotors to cosmology, the core concepts of thermodynamics such as equilibrium and entropy are the same across all disciplines. 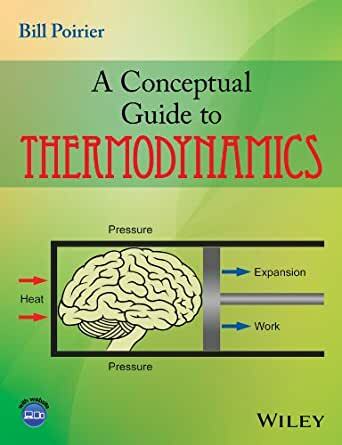 A Conceptual Guide to Thermodynamics serves as a concise, conceptual and practical supplement to the major thermodynamics textbooks used in various fields. Presenting clear explanations of the core concepts, the book aims to improve fundamental understanding of the material, as well as homework and exam performance. Terminology and Notation Key: A universal translator that addresses the myriad of conventions, terminologies, and notations found across the major thermodynamics texts. Content Maps: Specific references to each major thermodynamic text by section and page number for each new concept that is introduced. Helpful Hints and Don’t Try Its: Numerous useful tips for solving problems, as well as warnings of common student pitfalls. Unique Explanations: Conceptually clear, mathematically fairly simple, yet also sufficiently precise and rigorous. 17. Electronic Emporium: Free Online Shopping!